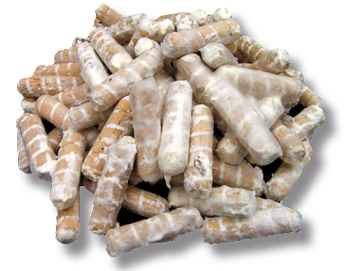 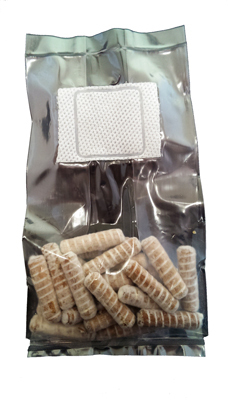 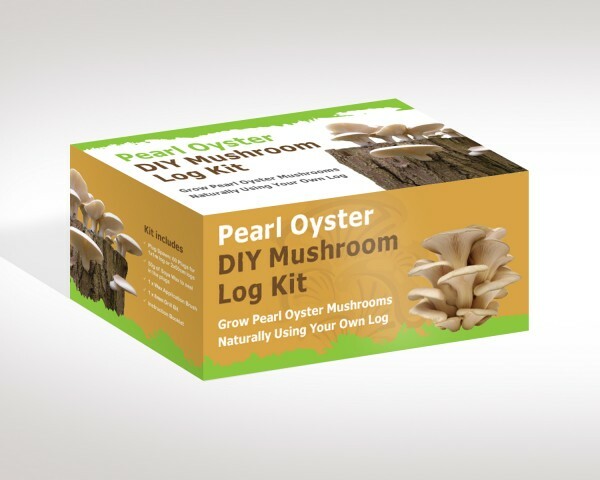 Pearl Oyster is a versatile and productive oyster mushroom, making it an ideal introduction to mushroom growing using logs. 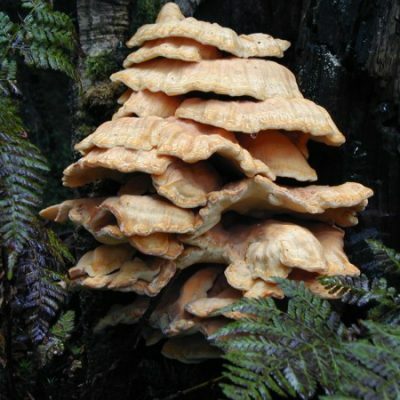 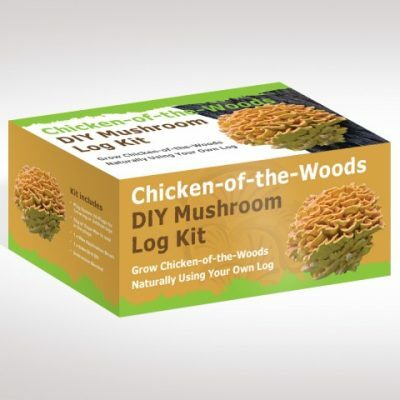 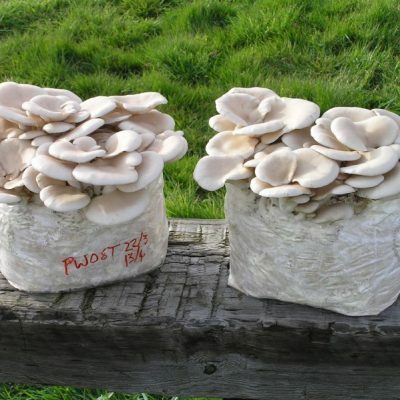 Oyster mushrooms grown naturally using logs are a world apart from the mass-produced farmed mushrooms – the culinary experience is hard to distingish from wild foraged mushrooms. 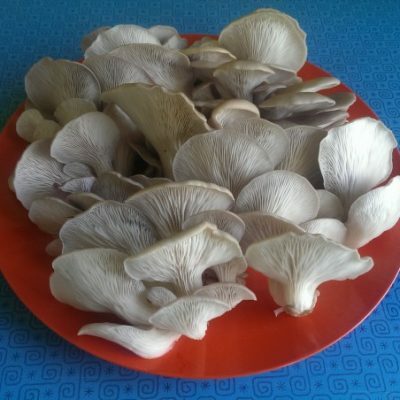 Oyster mushrooms are a long time favourite of wild mushroom hunters. 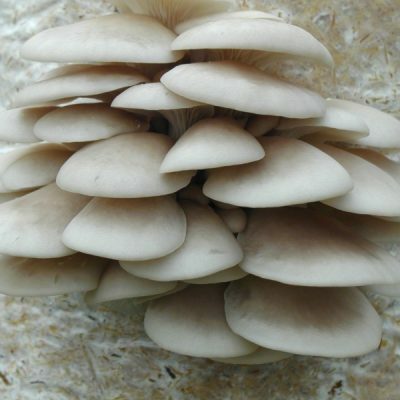 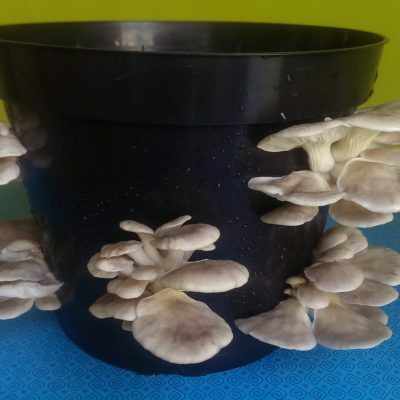 Pearl Oyster is a winter loving oyster mushroom which is easy to grow and delicious to eat, on account of it’s unusually thick and fleshy cap. 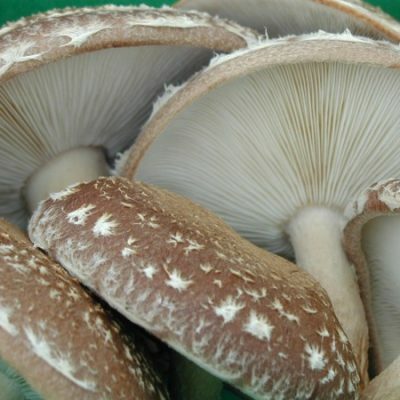 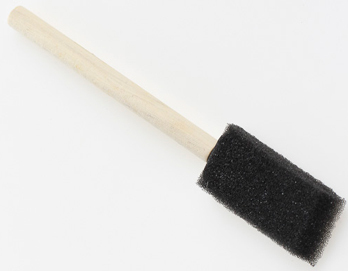 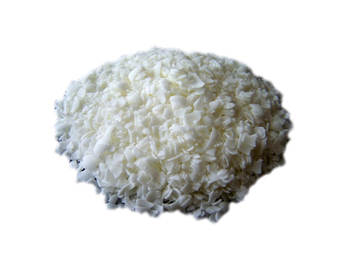 Excellent in stir-fries, as a gourmet mushroom pizza topping, or in an oyster mushroom and ale pie. 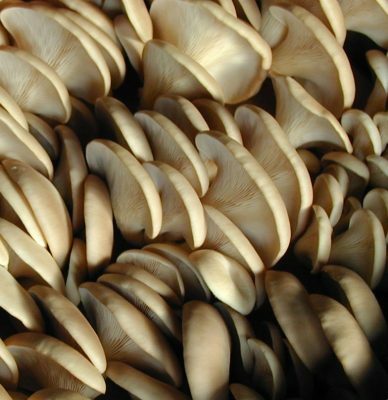 Commonly known as the ‘Tree Oyster’, Pearl Oyster is native to Europe and easy to correctly identify. 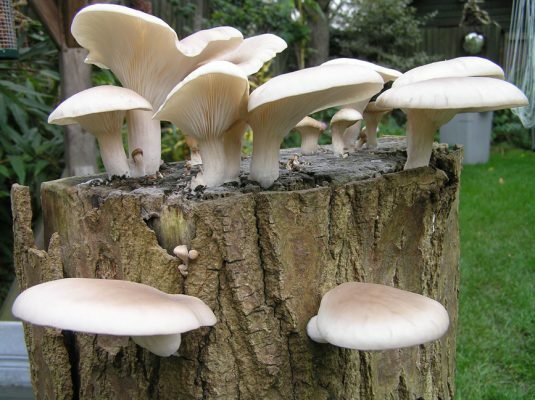 Pearl Oyster can be grown using most of the commonly found hardwood tree species, and is suitable for all parts of the tree: boughs and limbs, trunk sections cut into discs, and stumps too.